Cardi B has given birth to a baby girl as a first child. She named Kulture Kiari Cephus, on Tuesday night, with husband Offset at her side. It was revealed in February that the star, whose name is Belcalis Marlenis Almanzar, was expecting a baby. The news came after a member of her team told people she was pregnant during the Super Bowl end of the week. But she went to great lengths to hide her growing bump. Finally, she revealed that she was pregnant during a performance on US TV show Saturday Night Live in April. She went on to perform at Coachella while she was pregnant. 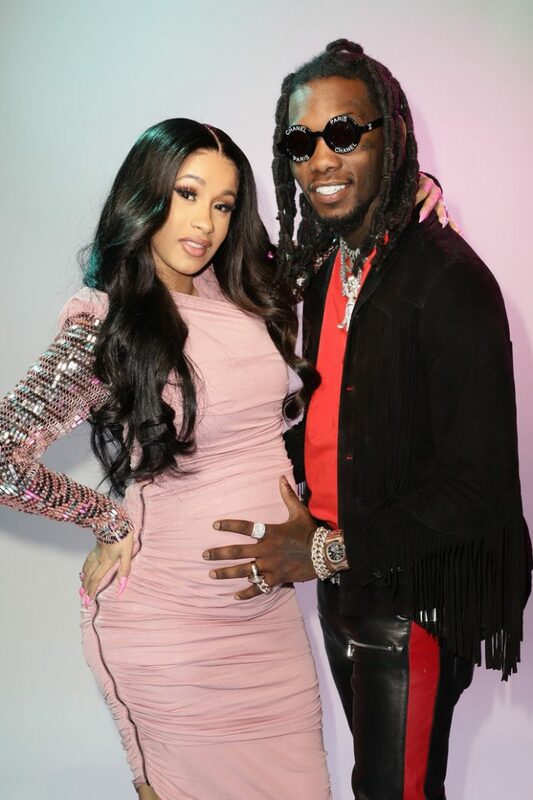 Kulture is Cardi’s first child and the fourth of husband Offset. Cardi revealed her child’s name on Instagram with a Beyonce -style pregnancy picture. Naked and surrounded by flowers, Cardi covered her breasts with one hand and held onto her bump with the other. Naked and surrounded by flowers, Cardi covered her breasts with one hand and held onto her bump with the other. “Kulture Kiari Cephus 07/10/18,” she captioned the image. Just last month, Cardi confirmed that she and Offset secretly married last year. She broke the news on social media that she’d tied the knot with her beau last September.”There are so many moments that I share with the world and then there are moments that I want to keep for myself! Getting married was one of those moments,” she wrote. “Our relationship was so new breaking up and making up and we had a lot of growing up to do but we were so in love we didn’t want to lose each other, was one morning in September we woke up and decided to get married. We found someone to marry us, and she did, just the two of us and my cousin. I said I do, with no dress no makeup and no ring! “I appreciate and love my husband so much for still wanting for me [to] have that special moment that every girl dreams of when he got down on his knee and put a ring on my finger and he did that for me!! The message accompanying Cardi B’s tweet stated: “This why I name my album ‘Invasion of privacy’cause people will do the most to be nosey about your life .” Her post came after Offset pretty much let slip they were married when he called her his “wife” at the BET Awards.